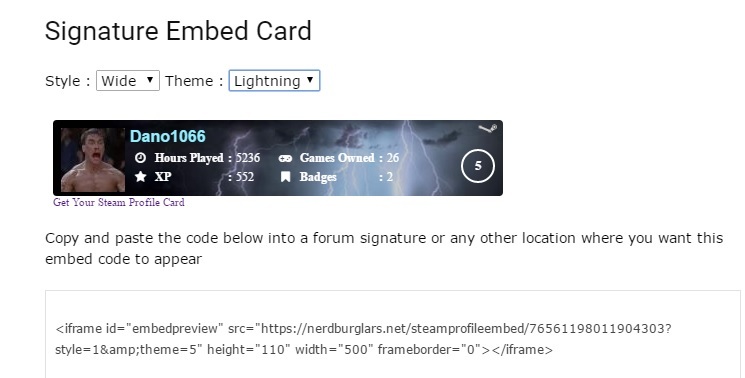 The Steam profile card allows you to embed a card that displays your Steam profile information in any message board or website where you paste the embed code. You can get a card for any user profile without needing to login or register. All you need to do is go to the steam leader board and search for your steam account. 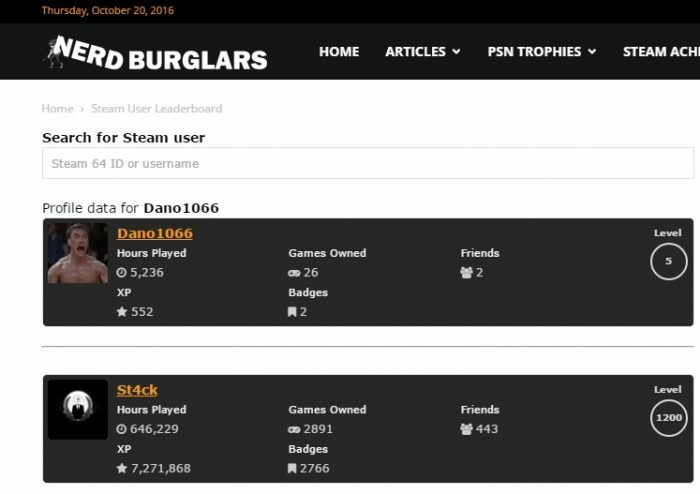 If your profile data is visible to the public, a record will be created in the Nerdburglars database for your user profile. From here you can click the profile and get the embed code for your user profile card. Once the profile has been created and synced within the database. Click on your username and you will have access to the embed code. Copy and paste the embed code from inside the text box and paste it in your forum signature. The controls above will allow you to customize the look of the card. More themes and styles will be added over time. If you have any style suggestions, leave a comment below. This embed system is currently in beta. If you find any issues, have any suggestions to improve it or have anything to say. Please let us know via email or in the comments section. I have created a Steam profile card FAQ that will hopefully answer most questions that people might have about this system. Click here to view the profile card FAQ.